Time flies, as they say. How true, though. It's an age since my last journal entry (September 2014!). So, Bank Holiday Monday at the end of May seems as good a time as any to post something. From a cycling point of view, I've not been doing anything at all recently; totally wimpish during winter and not yet got into the swing of it even now. However, I'm hosting a Warm Showers guest later on this week; somebody doing short trips in the UK before she embarks on an extended trip around Europe in the future. It's hard to believe that I've now been home 5 years, during which many things have happened. Not least is having written a book about my trip and produced ebook versions. Waterstones are still selling copies in their Cribbs store in Bristol and continue to be brilliant about displaying it face out in the Travel section and comparing sales favourably against those of Mark Beaumont (who I see has recently completed another 'I'm the fastest' record end-to-end Africa). I'm also amazed and pleased that talk requests are still coming along; I suppose it shows the timelessness of my trip; just, I suppose, like Anne Mustoe's book which, when I read it, was 20 years old. How encouraging. Did I hear mention of my book? Well, it might be worth mentioning that the cost of it is going up soon;so if you or someone you know would like one before it does, you have until 15 June to buy through my website. Of the people I met on my trip, the one I've kept in contact with most is Krista, one of 2 other passengers on the freighter ship across the Pacific. We've met up a few times over the past 5 years and, although she retired from her teaching post at the American naval base in Okinawa last year, she'll be there this summer, house sitting for one of the other teachers. So, she invited me to go and visit! An opportunity too good to miss, especially as the only major expense will be the air fare and it was a part of Japan I didn't visit. Meanwhile, a couple of weeks ago, my children and I, along with my daughter's boyfriend, went up to Scotland for a few days, to meet up with my elder brother. He'll be 60 later this year and we wanted to spend time with him in a place that he loves and to which my children and I have been going all their lives. In fact, if you read the journal last year for August, you'll have seen the place; it's where my brothers and I scattered our father's ashes on the Sound of Mull. As always, the holiday starts from when we arrive in the Lake District, because the scenery is so wonderful from then on. I visited Okinawa, Japan, in June, to stay with Krista. Krista and I met on the Pacific Ocean freighter crossing from Yokohama to Prince Rupert and have kept in touch ever since. 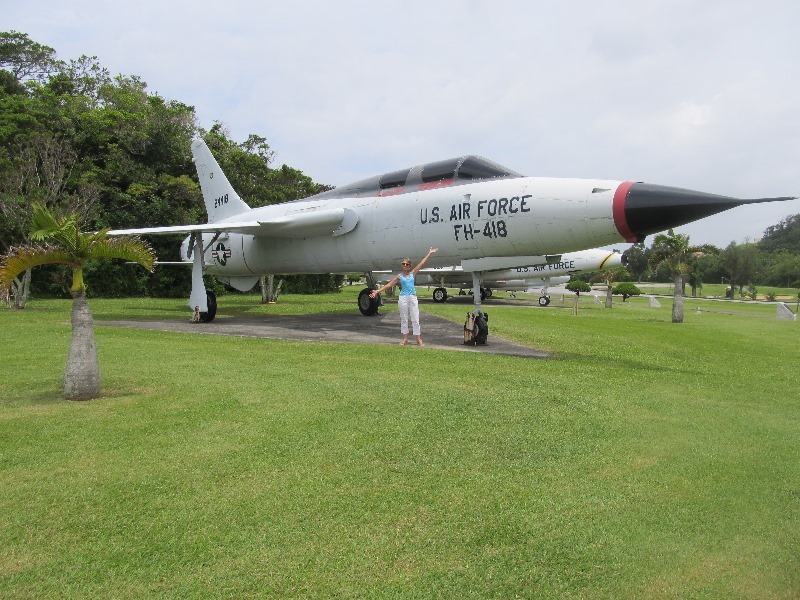 She taught on Okinawa for 18 years at one of the many American Military bases on the island. Although she retired a year ago, she was back there this summer, flat/cat sitting; and so invited me out so she could show me around all her haunts. Okinawa is a beautiful island, with a significant history. 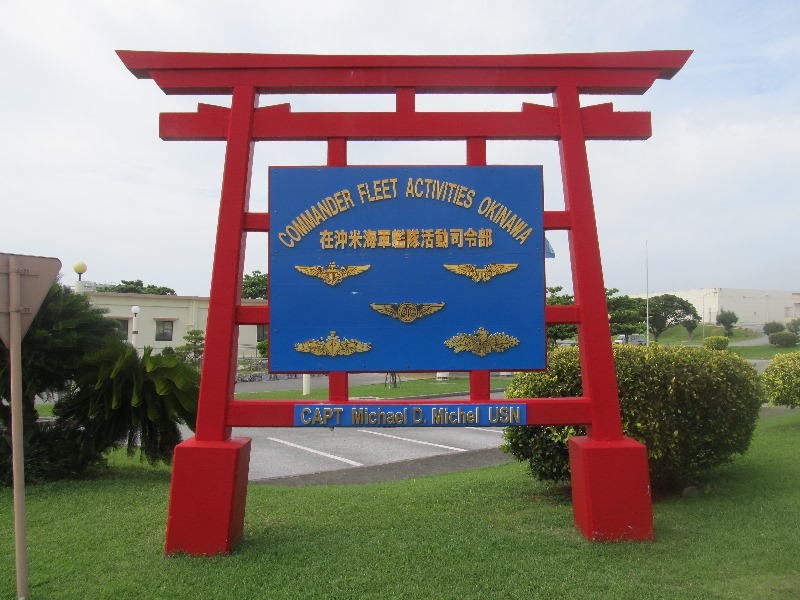 and it was very interesting visiting the American bases - which are huge! !